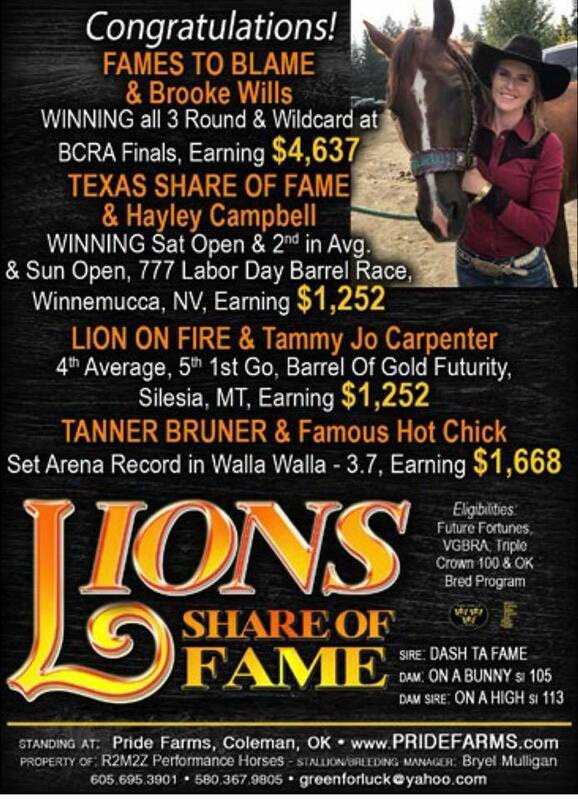 Lions Share of Fame aka King is by Dash Ta Fame out of the great mare On A Bunny who is by On A High and out of a Bunny Bid mare. He has over $30,000 in barrel earings in his career. He has a full brother named Gun Battle that ran out over 1/2 million on the track and won second in the All American Futurity. He also has a full brother named FM Radio that has barrel earnings in excess of $75000.